more memory and advanced graphics capabilities. Paper or plastic, regular or decaf, chocolate or vanilla... life is full of difficult decisions. And if you plan on purchasing a really good universal remote, one of the first choices you’ll need to make is whether to go for one with a touchscreen or hard buttons. Today’s remote controls ultimately boil down to these two basic flavors and, if you think one format should be the obvious winner, you’d of course be mistaken! Browse the forums on this site and you’ll have no difficulty finding people who wax enthusiastic on either side of that coin – and bewail the other. So which really is the better way to go? Just as with those other decisions where there’s more than one popular answer, it all comes down to your personal preference. Hard buttoned remotes are intuitive and quick to use, while graphical touchscreen remotes are totally customizable and offer more sophisticated capabilities. It’s that ultimate level of customization that makes graphical remotes desirable: if you want a page with one giant button that says “Turn On”, so be it. If you prefer 50 tiny buttons packed like sardines into the smallest space possible... well, the remote can do it, even if your pointing finger can’t. Multiple themed user profiles, favorite channel icons and a database of your DVD movies? Check, check and check! Control it all with one screen. If you’ve ever looked at graphical touchscreen remotes, the Pronto name is sure to be familiar. 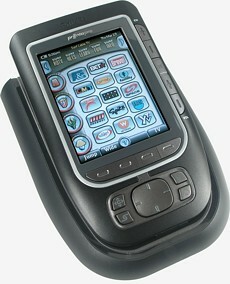 When the first Philips Pronto model was released in 1998 (read our review), its goal was to completely replace multiple traditional hard buttoned remotes using a single touchscreen and, since the developers were so focused on that central screen, the Pronto had only 7 physical buttons. Over time it became clear that no matter how versatile a touchscreen can be, tactile buttons still have their place for common functions. Since then remote designers have seen both sides of the equation and are constantly shifting the line in the sand between one type of remote and the other, with touchscreen models routinely adding more hard buttons and hard button remotes integrating ever larger screens for custom labels. After the original TS-1000 and memory upgraded TSU2000 (read our review) were released, Philips eventually made the logical leap by adding a full color LCD screen to their ProntoPro TSU6000 (read our review). The TSU6000 was a breakthrough in terms of screen legibility – 256 colors instead of 4 murky green shades – but the TSU6000’s low-tech passive matrix screen was afflicted with muddy colors and smearing on high contrasting objects, and the clarity level wasn’t up to that of commonplace active matrix displays. Philips later decided to make a clean break from the past and redeveloped the Pronto platform entirely from scratch. 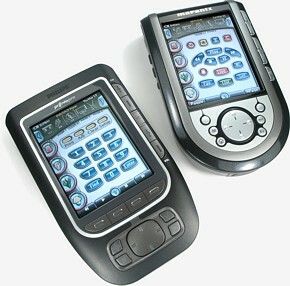 The ProntoNEO TSU500 was the first result from that endeavor, an economical remote with economized capabilities. But existing Pronto owners wanted more control, not less, and bigger and better screens, not smaller. So Philips went back to the drawing board and came up with a winner: the Pronto NG TSU3000. True, the screen was back to black-and-white, but it upped the ante by supporting 16 greyshades instead of 4, and the physical design had a welcome infusion of new hard buttons. The mid-range touchscreen remote was growing up.